With temperatures surpassing 100 degrees in some parts of the country, animal experts are reminding pet owners of some simple ways to keep their dogs safe and healthy. It’s of utmost importance to be aware of how stifling heat affects our pets, often more than us humans. A little precaution can go a long way, preventing injury, vet bills — and most importantly, it can save a life. 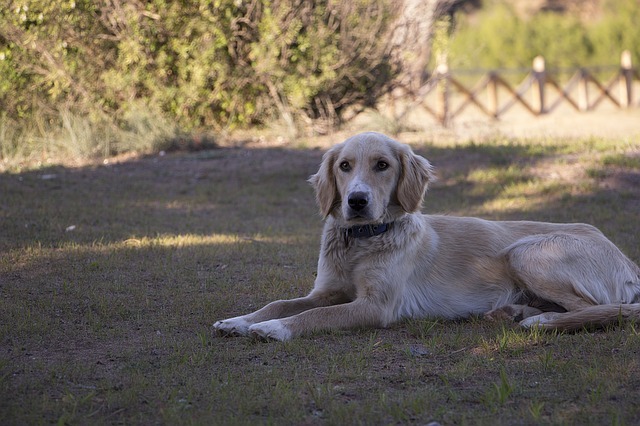 In a story by abc 30, pet parents are reminded to be aware of how much water their pooch is drinking, and even encourage their companions to go swimming (only if there’s a clean, safe water source available, of course!). While some dogs can’t keep their paws out of the water, others aren’t drawn to it, and some are reluctant to drink – even on a hot day. 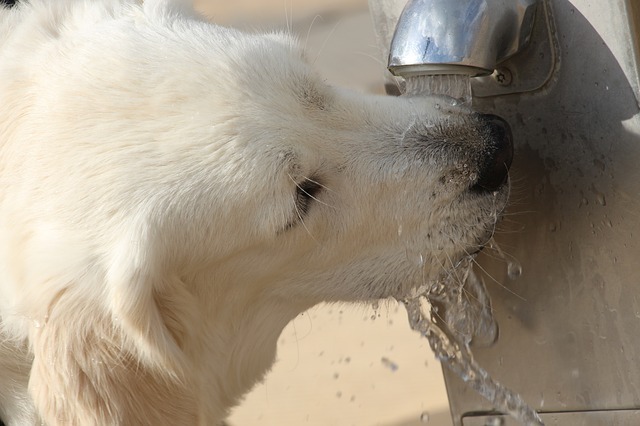 In addition to making sure that water is appetizing — fresh and cool is usually best — Devon Prendergast of the Valley Animal Center in California suggests a different approach. “If they’re not really taking part of drinking water or trying to stay hydrated, make it fun for them. Take ice cubes and freeze peanut butter inside,” she suggested in an interview by abc 30. 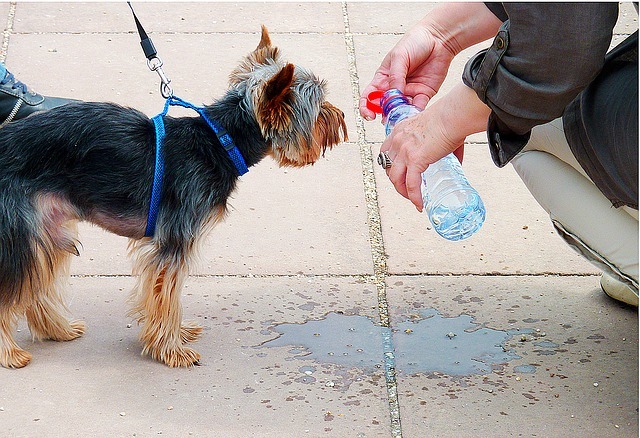 Keep a container or bowl with you at all times in the event that your dog needs a drink, and an insulated water bottle full of cold water is a good idea, too. This frisbee that doubles as a drinking bowl is the perfect thing to keep in your car for summertime excursions with your pup passenger. 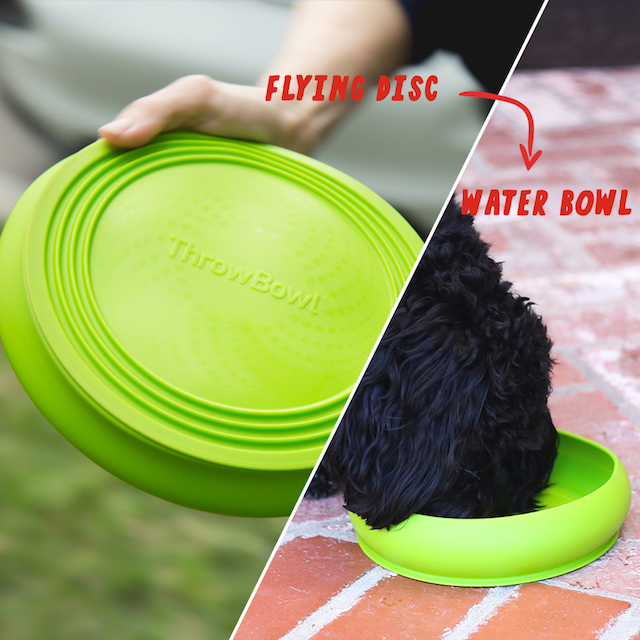 ThrowBowl™ The Water Bowl Your Pup Can Play With, $9.99. Each purchase provides a toy to a shelter dog. It may sound obvious, but it’s true: don’t venture into areas with no cover from the sun if you have your dog in tow. Many pup parents opt to exercise their dogs in the early morning or evening when it’s cooler, and any dog parks you visit should have trees or overhead cover for shade. What’s more, be aware of scorching asphalt that’s been baking in the sun. Our pups don’t wear shoes like we do, and their paw pads are sensitive to the heat and can easily get burned. When in doubt, place your palm on the pavement to test the temperature; if it’s too hot to touch for 10 seconds, it’s way too hot for your dog’s feet. If you must go out, let Fido stroll in the grass, or better yet, save your walks for dawn or dusk. Check out this article for more tips on protecting your dog’s paws. If you really want to pamper your pooch this summer, you can also treat her to a cooling mat or ice-cold cooling collar. While you can probably tell that your dog is hot when they start panting or plopping down in a shady spot on the grass, Prendergast explains another less-obvious sign that it’s time to cool down. “If all of a sudden your dog is starting to dig and they weren’t digging before in the dirt, what they’re doing is trying to find a cooler spot to lay,” she said in the news story. The other thing to note is that some dogs don’t know when to stop playing until they’re already experiencing symptoms of heat stroke (more below). Make sure to take it easy and take frequent breaks for water and cooling down while you’re out getting exercise. 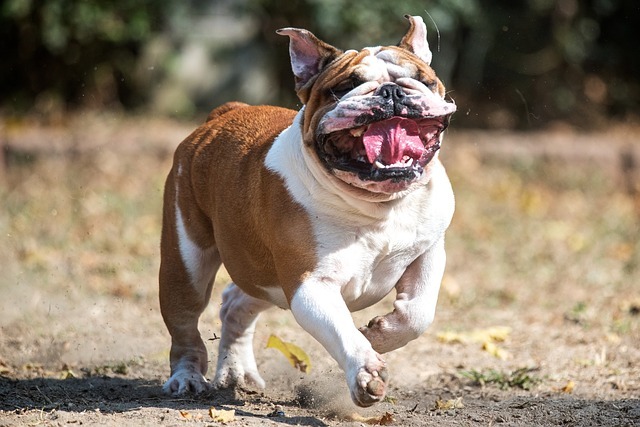 Certain breeds are especially prone to heat stroke, including brachycephalic breeds (those with short noses and squished faces), and any dog that’s overweight should also be extra-careful. Here are 5 risk factors everyone should know. It’s also worth mentioning that there is such a thing as too much water play. Last summer, a young pup died of hyponatremia, or water intoxication, after playing fetch in the lake for over an hour and ingesting too much water. Again, no matter what you’re doing, breaks are key in keeping your active dog safe and healthy. 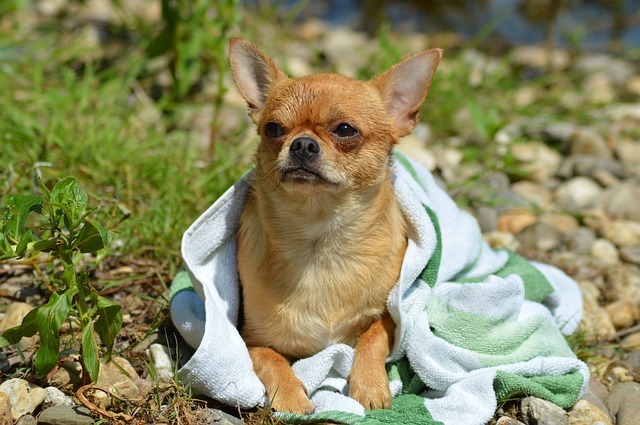 “Immediately wet your dog with tepid water, all the way to the skin. Pile him into your car without delay. While you are traveling, roll down all the windows to help air circulate around your dog and turn the air conditioner all the way to max. Air movement is your goal because the air will cause the water on your dog’s coat and skin to evaporate more quickly and take heat with it. This should go without saying, but every year, dogs die unnecessarily because of thoughtless owners. The hotter it is, the more dangerous it is to leave your dog in a parked car – even if you’re “just going in for a minute,” even if the windows are cracked, and even if they love car rides. Trust us, they’d rather be safe at home than dying in a hot vehicle.